The minutes after a wrestler steps onto the mat matter more than anything else. The physical and mental preparation of a wrestler is evident through their meticulous and well thought out moves. Though wrestling might not have a big fan base compared to other sports and some may call it unconventional, fourth-year wrestler Ahmed Shamiya learned to love it. Shamiya started wrestling in the ninth grade, but he didn’t know how far this love would lead him. “I was trying to convince myself that I didn’t like it, but secretly I liked it. I kept with it, kept working hard and things worked out,” said Shamiya. 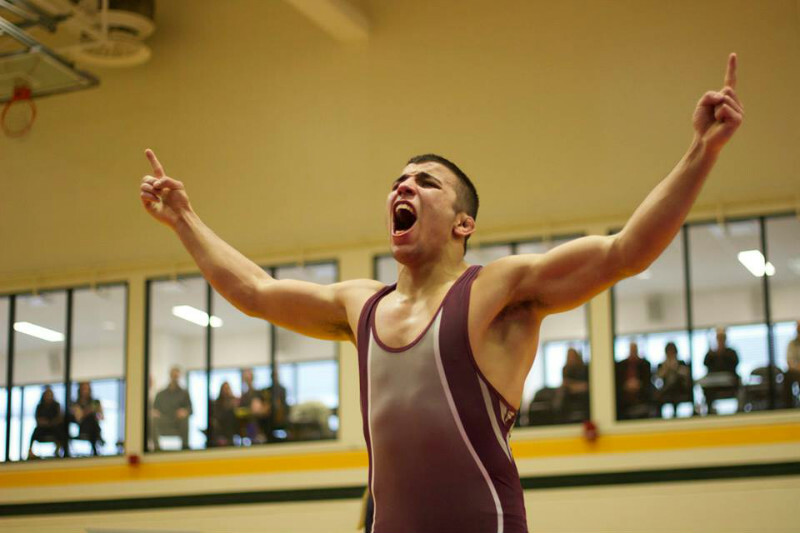 McMaster is home to many talented wrestlers. Year after year, Marauders compete in Maroon with their sights set on racking up medals and proudly wearing them around their necks. For most, they work all year for the chance at gold. For fourth-year wrestler Ahmed Shamiya, his dream turned into reality last year as he won national gold in the 72kg weight class. After losing to Brock’s Tyler Rowe in the OUA Championships two weeks before his victory, something changed for the veteran wrestler. With everything on the line at the CIS Champhionships, his final score was 6-5. That huge win for Shamiya is his greatest accomplishment to date. “It was a big breakthrough for me. Mentally, I overcame so many barriers. He beat me pretty good two week earlier and nobody thought I was going to win. It was one of the best memories of my life,” said Shamiya. For people that are not too familiar with the sport, they may not understand that the mental aspect of the game is just as important as the physical. Unlike sports that have timeouts and substitutions, a wrestler barely has any breaks. When they do have that break for water and to get a pep talk from their coaching team, they are still thinking about the next move and how they can get their opponent to the ground. Shamiya admits that the mental game is a challenge and something that he has been working to master. “When I first came to university, my coach described me as being afraid of my own shadow. Now, I’m very confident when it comes to stepping on the mat,” said Shamiya. The mat is a hostile environment and matches are anything but friendly. Having the competitive edge over your opponent is crucial and a good warm-up is critical for a solid performance. “You have to prepare yourself before it. I like to get a really good warm-up in,” said Shamiya. With provincial and national championships nearing in the next few weeks, Shamiya will work to defend a national championship title. Shamiya looks to inspirations like Conor McGregor and Muhammad Ali to prepare himself for the challenge. “They are two guys that are perceived as arrogant, but they simply vocalize what they truly believe,” said Shamiya. Shamiya will focus on the next two meets but his eyes are still set on the future. He hopes to play in the Olympics one day and there is no doubt that the passion Shamiya has for wrestling will only grow stronger.